Hemianopsia is a debilitating visual condition that affects roughly 1 in 3 stroke patients. To the patient, it’s as if one side of their visual field simply disappears. To a layperson, this is hard to imagine, and even harder to explain. Patients with hemianopia have two major complaints related to this devastating condition: it’s hard to read, and it’s hard to get around without bumping into things (mobility). The Peli Lens™ is designed specifically to help with mobility. There is also a patented oblique configuration available that may make it possible to drive. Driving depends on your state’s laws. Interested in fitting the Peli Lens? Click here to download our free Peli Lens™ fitting guide. 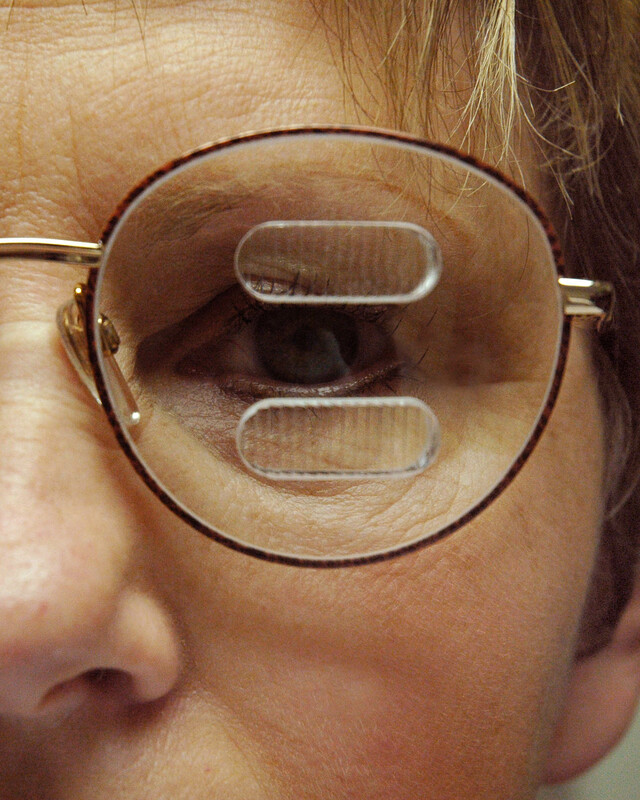 Need more info on hemianopsia, the Peli Lens, and how it all works? 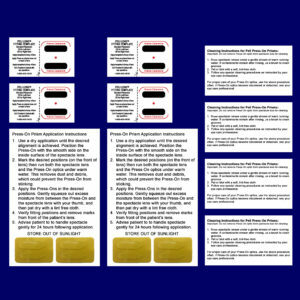 Select our Hemianopsia Resource areas for doctors and patients from the menu above. 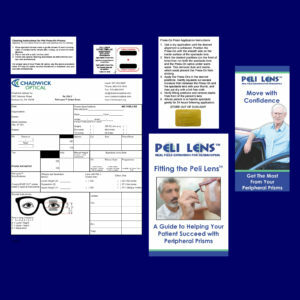 The Peli Lens™ provides visual field expansion for patients with a visual field loss from homonymous hemianopia. With slight modifications, it can also be used for quadrantanopsia. The Peli Lens™ offers a measurable field expansion of up to 30 degrees at primary gaze without giving double vision in central vision. In some states, this expansion provides enough additional field to allow patients to drive. The Peli Lens has been tested in multiple clinical trials, and in each case it has been scientifically proven as an effective mobility aid for patients with hemianopsia. Visit our Publications page for a list of articles about the Peli Lens and homonymous hemianopsia. Visit here to see how the Peli Lens works. Expanding the visual field is easier said than done. Since the 1920’s, optometrists have tried to find optical solutions that can help with hemianopsia. Many have claimed success, but none have been proven successful in a controlled clinical environment. If you put a single prism in a patient’s blind area on one eye, it gives the patient central double vision when they look to the blind side. 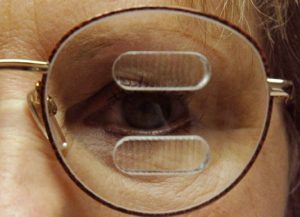 This lens design is known by a number of names: Visual Field Awareness System™, Side Vision Awareness Glasses™, sector prisms, button prisms, the Gottlieb Lens™, the Chadwick Lens (no relation to Chadwick Optical), and the Onufryk Lens™. No matter what it’s called, it has never been scientifically proven effective. It has been proven expensive though. Most patients that call us looking for an effective treatment have spent $2,000-$3,000 for their glasses. If you put two prisms in the patient’s blind areas, it avoids the double vision of the single sector prism, but it creates a potentially dangerous blind spot in the middle of vision. This lens design is called a yoked sector prism, and has never been scientifically proven effective. The potentially dangerous blind spot in this lens is called an apical scotoma. The old approaches have never been clinically tested with a control. In other words, they’ve never been tested against anything. To get quality results from a clinical trial, you need a control group who thinks they’re getting treatment, and a group who is getting treatment. This helps neutralize the various biases that can sneak into a clinical trial. When the Peli clinical trials were run, there was a control group who received a “sham” prism (like a placebo). Nearly 30% of people said the sham helped them. Success rates for the sector prism designs mentioned above are anecdotally reported around 20%. This is less than the success rate of the placebo-like sham prisms used in the Peli Lens clinical trial. In addition to inferior clinical trials, there are some physiological limitations to these lenses. Visit our How Other Prisms Work Page for more information. As a full-service wholesale lab, we can make the old sector and button lenses if that’s what you need. 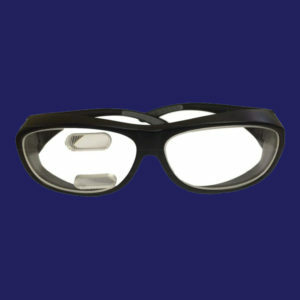 We’ve been making these lenses and helping patients and doctors with hemianopsia for a long time. Are you a patient looking for a doctor to help fit the Peli Lens? Are you a doctor looking for the best options for your patient? Please call or email us to discuss your unique needs. Chadwick Optical offers a number of products to help doctors fit patients with the Peli Lens ™. 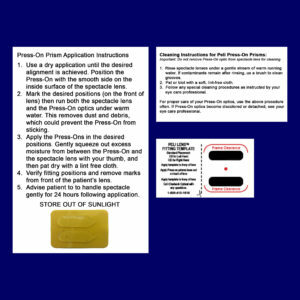 In addition, our free fitting protocol is available here. See below for our full list of Peli Lens ™ Products for sale.